More travellers to the Northwest Territories (NWT) will experience the ease of non-stop flights between Yellowknife and Vancouver, thanks to two daily Air Canada flights this upcoming fall and winter. 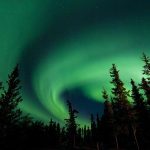 One non-stop flight, which was previously offered from December 2017 to April 2018, will return for the territory’s popular aurora viewing season, starting earlier in September this year, and will double for the winter season. Additionally, one flight will now be offered year-round. Both flights connect seamlessly from Air Canada’s Asia and United States routes. The added flights were discussed during the recent China Trade Mission in response to the territory’s growing tourism industry. Flight AC8846: Departs Yellowknife at 7:30pm, arrives in Vancouver at 9:15pm. 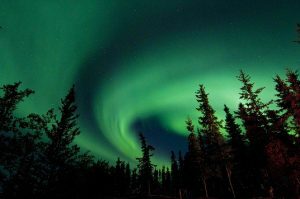 The NWT’s tourism industry reached records of $201.40 million and over 100,000 visitors in 2016-2017. Aurora viewers made up 23% of these visitors. This is great news for the territory, and we trust that the increased flights and ease of access to the NWT will make it easier to market the Northwest Territories as a travel destination.